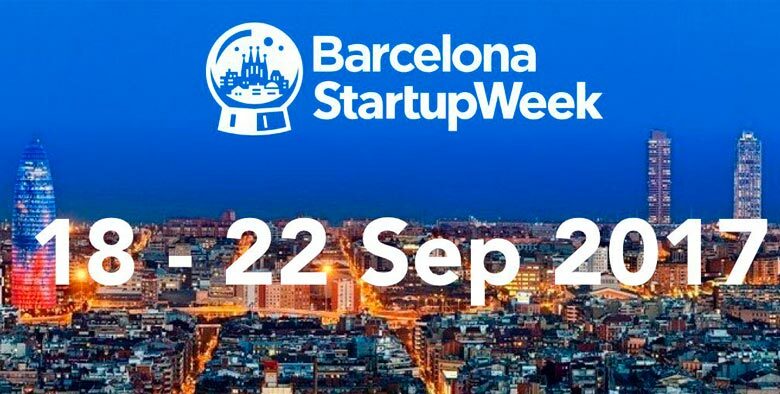 The American startup incubator Techstars, one of the most important worldwide, is the organizer of the Barcelona Startup Week that will take place from 18th to 22nd of September. The best mentors and startup gurus from around the world will gather in Barcelona in an event that offers conferences and training sessions to promote the exchange of experiences between entrepreneurs and the fostering of new ideas and talent. One of the main characteristics of the Barcelona StartupWeek is the free nature of all its activities. Also remarkable is the participation of Ash Maurya –founder of LeanStack, author of the international bestseller Running Lean: How to Iterate from Plan A to a plan that works and creator of the Lean Canvas business model tool- and the special program dedicated to Women Entrepreneurs with guests such as Gemma Cernuda, one of the most influential Spanish entrepreneurs, that will give a conference on How to connect with the 80% of the market, or the roundtable dedicated to entrepreneurs and investors of SWAN Women Angels Network. For those who are entering the world of entrepreneurship, at the conference My Startup Experience successful experts such as Carlos Blanco -a serial entrepreneur, investor in more than 75 startups and author of the book The main mistakes of entrepreneurs- and Christian Rodríguez -founder & Chairman of the successful ByHours.com and author of the book Despegar: Ponle alas a tu proyecto– will share their experiences. Likewise, the conference will count with the presence of important international startups that are landing in Barcelona, such as Hotel Tonigh from Silicon Valley and new collaborative models economy like Bluemove. As for the networking, the program includes events such as the Networking coffee breaks, Barcelona StartupWeek Welcome and Closing Party and open days in coworking spaces, accelerators and incubators of Barcelona. As a culmination of the program, the Elevator Pitch Competition will be held by Seed & Click on Friday 22nd with different startups presenting their projects in front of a specialized jury competing for important prizes. During this week, important parallel events are also held for the entrepreneurial ecosystem, such as the awards ceremony of the new Imagine Silicon Valley competition, or the awards ceremony of Eres Impulso, a call for women entrepreneurs organised by Font Vella.